General Description: Primary responsibilities will include performing routine duties associated with all janitorial duties and some light maintenance work in Giles County Public Schools. Sweeping, moping, striping, buffing, waxing and vacuuming floor surfaces. Cleans and sanitizes restroom areas, fixtures and water fountains, blinds and light fixtures; dust desks, ledges and windowsills. Collects and empties trash in and around the schools. Assist with special events, putting away equipment and furniture such as; tables, chairs, risers, sound equipment and other related items. Assistance with snow removal may also be required as well as other duties as assigned. Physical requirement: This position is somewhat physically demanding requiring standing, kneeling, bending, walking, climbing and lifting which can be in excess of 50 lbs. Position also requires interaction with teachers and school administration and includes talking, writing and the ability to manipulate a keyboard. 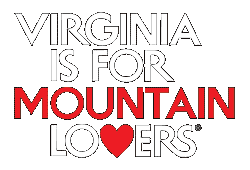 Please submit a Giles County application, obtainable at http://virginiasmtnplayground.com/wp-content/uploads/2016/06/EMPLOYMENT-APPLICATION.pdf and mail to: Giles County Administration, 315 North Main Street, Pearisburg, VA 24134. You should also include a resume. You may also pick an application at the Giles County Administration building.